The Re-imagine West Colfax crowdfunding campaign has already raised $4,700 of the $11,000 budget for hard costs for the Design Demonstration! Now the WCBID will offer a Double Your Dollars matching donations to the crowdfunding campaign this Thursday through Saturday. This incentive encourages businesses and residents to join us in funding the design demonstration. The more money we raise, the more plants, trees, art and graphics, crosswalks, etc. we can bring in,…and the more memorable the event will be. 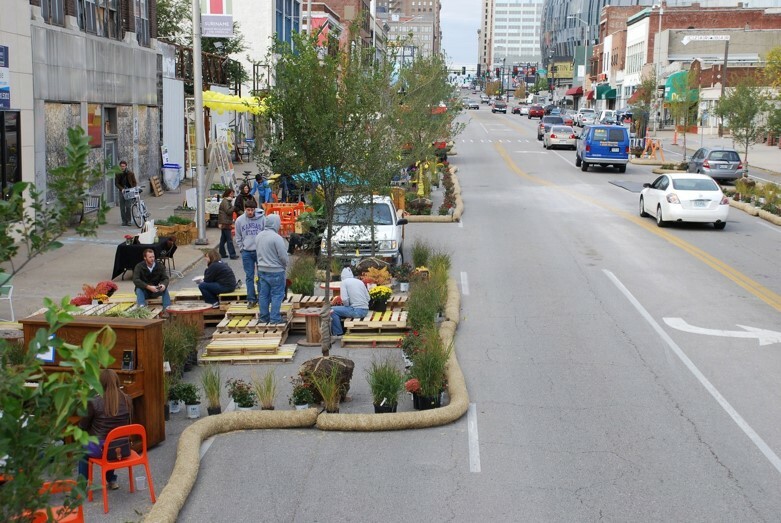 Check out this great example of a temporary design demonstration showing parklets, or pop-up parks, more space for pedestrians and added greenery. Here is the this link to the crowdfunding campaign.